Waterlogged is a photograph by Ricky Rayburn which was uploaded on January 14th, 2010. Almost knee deep mud in places which isn't really good for rubber boots. If the mud is knee deep then the water fills the boots. nice shot Ricky....has the mystery of what lies hidden ahead.. 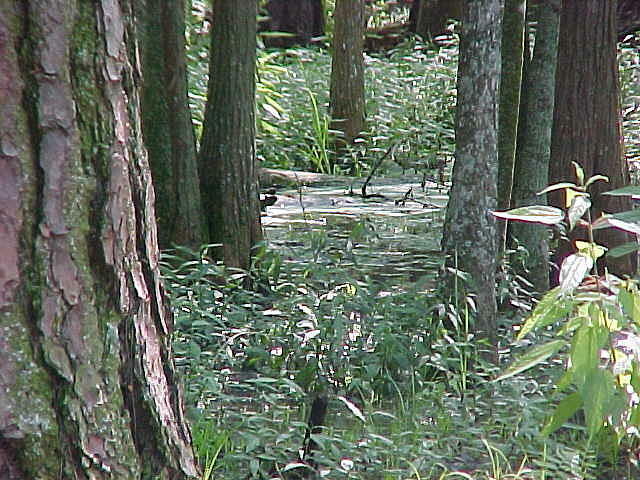 I have actually been barefooted in that very swamp as a kid. Thanks for the comment. great memories are brought back to me by this image Ricky. Not one can find from safe trails usually. This is true barefooting country, I have a love for black water Forida, and this sings of those eternal cycles building new life.